General Entry is only $10 (online only until 3:00pm. $12 afterwards) Kids under 10 Free. 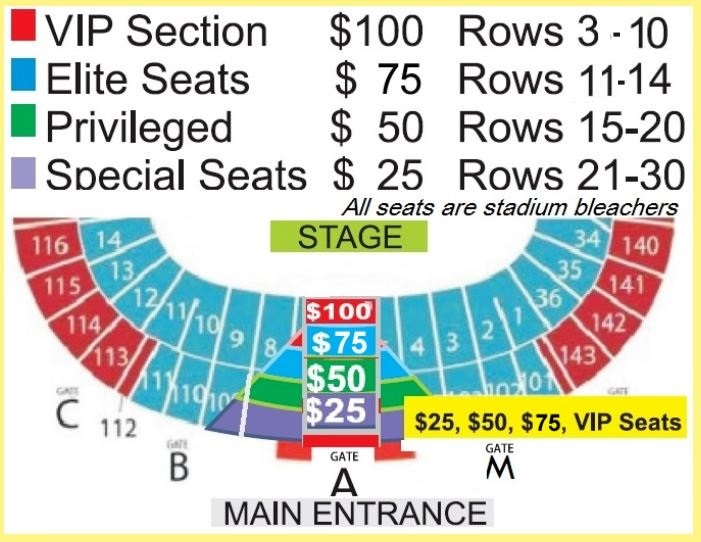 VIP Tickets available with special seating at $100, $75, $50, and $25 levels.